Whether it’s offering a resurrection to those who have been so rash to venture into too dangerous areas, or the harassing trade of some magic item, or even worse, those who insist to try to convince you to join their party or guild, I cannot stand the stubbornness of strangers, let alone dying because of someone else’s stupid actions. It’s not that I haven’t tried. I began with Silkroad, a 2006 free Korean MMORPG set along the Silk Road. It had everything: a very nice oriental setting, outrageous weapons… It was also free, which was a great pro compared to World of Warcraft, but my love for Silkroad wasn’t going to last long. As many other free MMORPG, you must pay if you want a good gaming experience, buying credits to use in the game’s store to buy items you can’t find anywhere else in the game. This was a problem, but not an unsurmountable one, I just had to go on quietly and patiently. What I could not bear were, of course, the other players. I reached the breaking point during a caravan. Being set along the Silk Road, Silkroad expected guilds to take on journeys from city to city, with merchants and mercenaries to defend the caravan and bring as many items as possible from point to point. That meant you had to organize a group of 15-20 people to face the mission together at a set time. We failed three times because there were people who forgot whether they were merchants or mercenaries, people who did not want to drink their potions, people who simply went AFK (away from keyboard) and let their characters at the mercy of tigers while they had a snack. I left the guild, uninstalled the game and decided it would be better to try a more famous game, where the interaction with other people would not involve the death of my avatar. I knew the only MMORPG in which it was likely that I would not die was Second Life, everyone was talking about it back in 2007. Actually, Second Life has never been a MMORPG, it was not even a real game, it was some kind of big three-dimensional forum where you had to be the weirdest possible, while someone was trying to change Linden Dollars with real dollars by selling T-shirts, virtual plots and offering virtual sexual services. I got out right after the creation of my avatar, that is, when I got the first unsolicited message from some stranger who asked if I was male or female and if I had a webcam. I was so disappointed that I decided that perhaps the only way to enjoy a rewarding MMORPG experience would be choosing a pay for play. 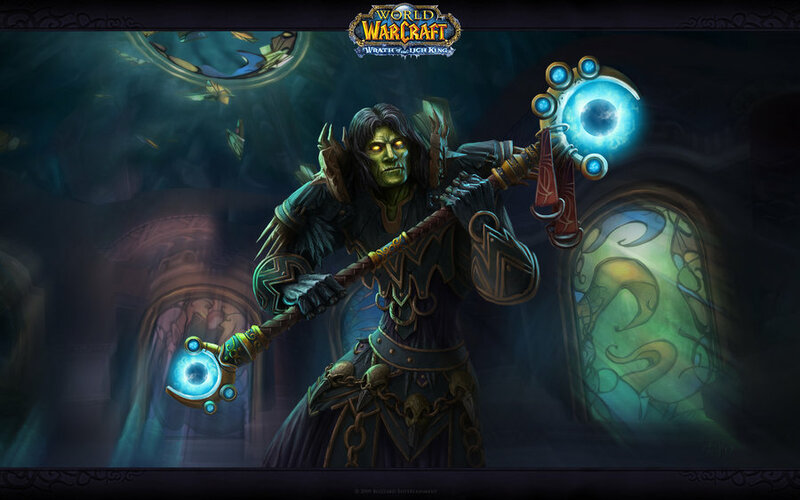 I installed World of Warcraft and I created my first Undead Warlock. My first WoW session lasted no less than 9 hours straight. Warcraft‘s game system never leaves the character without a mission to accomplish, there is always something to kill or take to someone or to recover in some ruin. It felt like I had found Eden, the Promised Land, a world of endless hours of game that would take me further and further away from murlocs. As you can imagine, I was wrong again. World of Warcraft being the titan of MMORPGs, there is a limit to what a player can do on his own: ​​some quests need to be faced with someone. After I moved from a PVP (Player versus Player) server to a PVE (Player versus Environment) server to avoid a gang of Russian players who enjoyed killing low level characters, I got to the point where Varimathras, a giant demon residing in the capital of the Forsakens beneath the ruins of Lordaeron, asked me to join the forces that tried to attack Wrathgate. Meanwhile I continued to ignore requests to join guilds or join a party or to buy something. It was Silkroad all over again! I took my staff, my shoulderpads and my mount and abandoned Azeroth for the last time, during the hot summer of 2008. Since then I have always kept myself far away from Multiplayer games, including FPS like Quake Wars and Unreal Tournament, where 10-year-old kids-war machines are much more ferocious than me and call me Newbie, at best. It took me nearly seven years to find the game that gave me the feeling of playing a MMORPG without having to hate the rest of the world. I knew Kingdoms of Amalur: Reckoning because the game’s history was written by R. A. Salvatore, one of the most famous authors of Dungeons & Dragons novels and creator of one of its most iconic characters, Drizzt Do’Urden. As soon as I started, everything reminded me of World of Warcraft: the aesthetics, the hundreds of quests that seemed impossible to finish, the long distances run on foot, the quick and repetitive fighting, the skill trees… In short everything screamed MMORPG. Yet I am alone, there are no enemies so strong that must be fought by 25 people at the same time, there are no public auctions of magic items nor guilds that require a minimum of hours of play per week, because it’s just a Single Player Game, with no Multiplayer option. 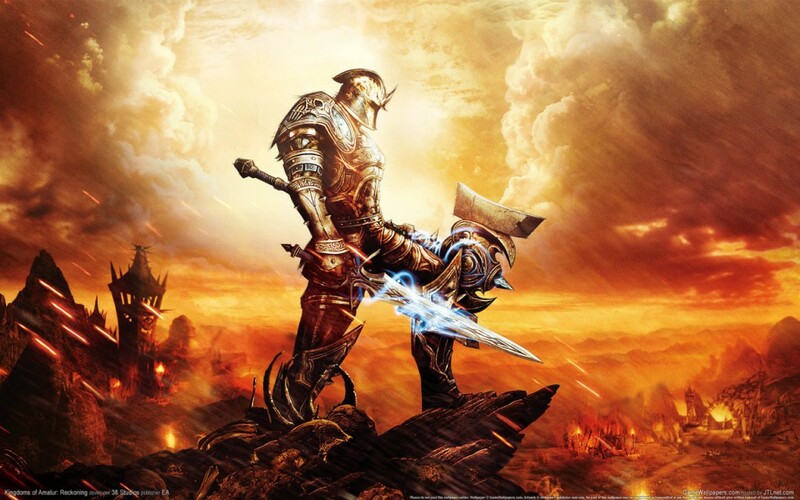 Kingdoms of Amalur is the perfect MMORPG for someone as misanthropic as me.